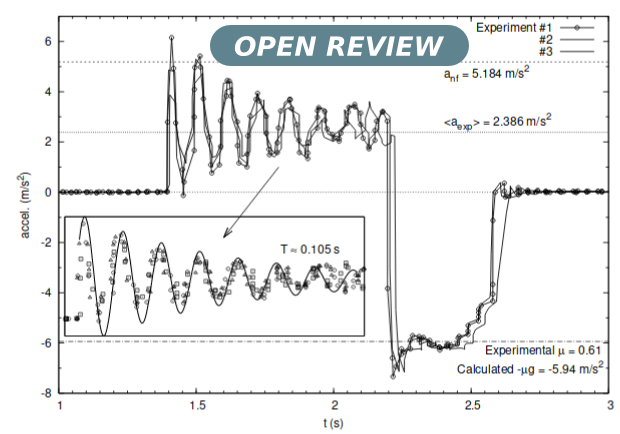 In this paper we describe a classical experiment with an air track in which smartphones are used as experimental devices to obtain physical data. The proposed experiment allows users to easily observe and measure relationships between physical magnitudes, conservation of momentum in collisions and friction effects on movement by utilizing the users' own mobile devices. This paper, by M Á González, A Gómez, M Á González, is licensed under the Creative Commons Attribution License 4.0.